Just when it seemed that only scientists cared to keep the literary essay alive, along comes an obscure translator and dramatist to make the form crackle and sparkle again. 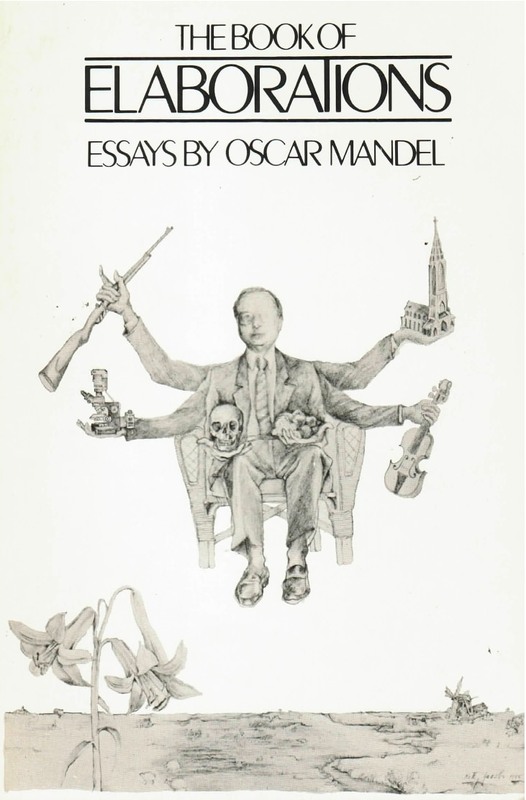 The art of the informal essay finds elegant voice in Oscar Mandel’s The Book of Elaborations. Like Montaigne before him, Mandel examines the antic mind of his fellow men, vain, various, and ever-changing, and its peculiar manifestations in an age that embraces ugliness and irrationality. The sixteen pieces in the collection are, literally, “elaborations”––discursive, associative, meditative––of the author’s earlier lyric poems and epigrams, arranged by him to move in an easy way from the autobiographical to matters more general and abstract. …rational discourse that exercises the reader’s mental muscles as surely as the rowing machine strains the biceps.